Is it possible to have too much Earl Grey? My friend Aubrey and I did not think so. These incredibly rich chocolate cupcakes (or tea cakes, what’s the difference?) were infused with three bags of loose Earl Grey Tazo tea leaves and then topped with even more aromatic icing that smelled and tasted as smooth as a real cup of tea. The icing by itself is just amazing, it’s like eating a puffy, sticky cloud of bergamot almost-meringuey goodness. It’s the second time I’ve ever made cake batter from scratch before, the first being a disastrously flat almond cake that I whipped like a dead horse years ago, and my first time using melted chocolate instead of cocoa powder (what a difference!). They were so good they got the pink wall treatment. In order to get the tea into the cake, we ‘brewed’ the Earl Grey into unsalted butter before incorporating it into the chocolate. 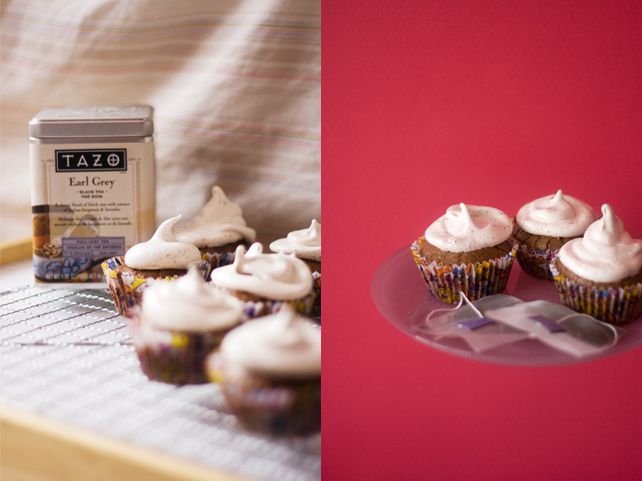 We did this as per Cupcake Project’s instructions for baking with tea and infused butter. We thought we could get away without having to strain the butter by keeping the loose teas in their bags, but after a couple of minutes of waiting by the stove and stirring it without anything happening, we finally decided to just release them. Immediate effect! The butter went from golden to a more darker honey colouring and it smelled strongly of tea. It was pretty tempting to drink. Instead of waiting for it to cool down to room temperature, we mixed it in with the chocolate. Mmmmm. It tasted amazing. Unfortunately, it seems as if we either didn’t use enough tea leaves (or they weren’t strong enough) or, most likely, the Earl Grey got overpowered by the chocolate. When you bite through the cake, without the icing, there’s just subtle and delicate hint of the Earl Grey. I suspect if we didn’t know they were infused with tea, we would have thought it was just some really fantastic chocolate. Now imagine Orange Pekoe tea…….. Recipe from the Food Network’s Tea Cake with Earl Grey Icing + The Cupcake Project’s tea infused butter technique. The instructions in bold are our additions and changes. Infuse the tea into the butter first. 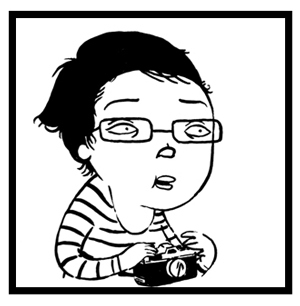 Don’t worry if there are a few grainy bits left, it’s fine. Melt the chocolate in a bowl over a saucepan of simmering water and pour in the tea infused butter. Whisk together until the chocolate and butter are well incorporated. In a bowl, whisk the sugar, flour and salt together; mix into the melted chocolate. Add the eggs one at a time (and the vanilla!) and then whisk quickly until you get a smooth and fairly thick and luxurious chocolate batter. Pour into the pan and let it bake! Whisk sugar, egg whites, lemon juice, salt and tea into a bowl. Bring the bowl over a pan of simmering water and whisk until the sugar has dissolved. If may not smell good right away like the butter, but trust me, it will later on. Once you’re done melting the sugar, use a handmixer or standmixer on medium-high speed (or your strong arms) to whisk the mixture until it holds stiff peaks. That should take about 2-3 minutes. Then ice to your heart’s desire! These look amazing !! 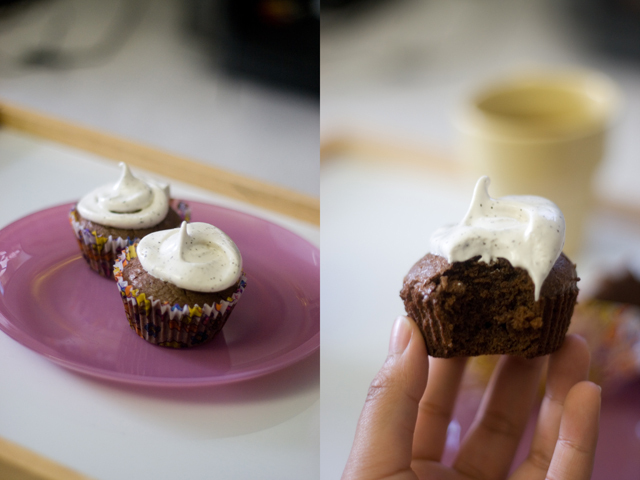 Thank you for sharing the recipe with us :) I’m gona try them next time I bake !! Definitely go for it! It is sooooooo delicious!!! 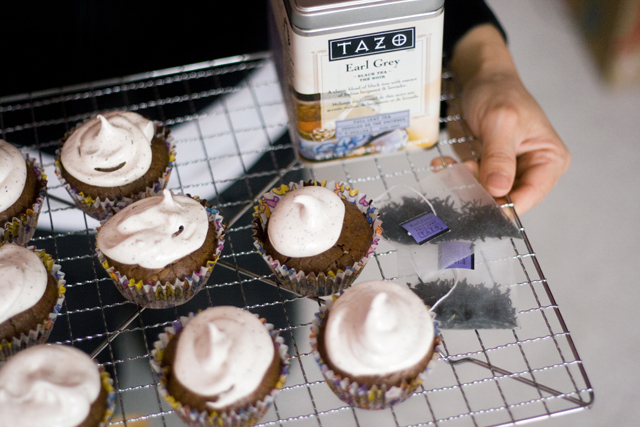 Definitely not possible to have too much Earl Grey <3 Your cupcakes look great! I LOVE earl grey! It’s probably my favourite tea after oolong. The icing looks light and simple to make; I’ll surely try it out. I’ve tried making buttercream frosting but never succeeded. Thanks for the recipe! I made these for the third time today. They are delicious! 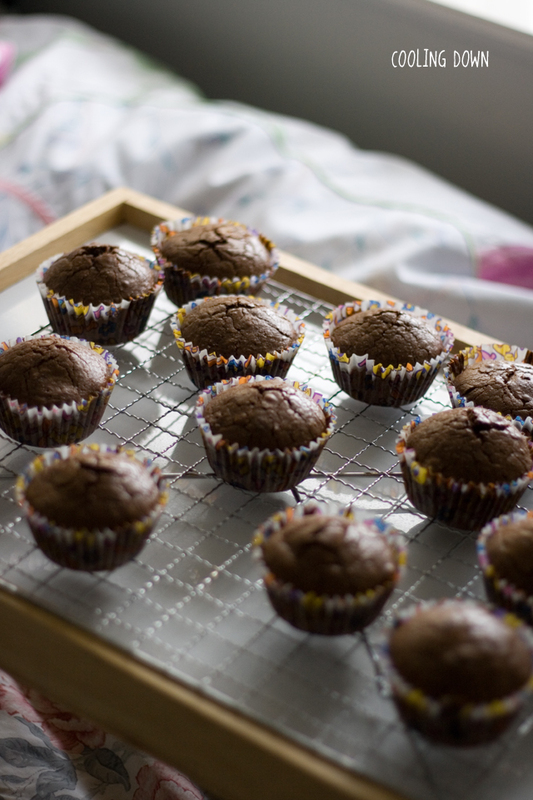 I change it a bit by using C4C gluten free flour and bake them in a whoopie pie pan instead of as full cupcakes (I think of them as cupcake tops). The edges get nice and crunchy, which seems to be a crowd-pleaser. I also make a buttercream icing with tea substituted for the milk. They always get rave reviews, so thank you so much!